Zipscreen Blinds are being used in a widespread manner in all modern residential as well as commercial buildings. They come really handy and are very ideal for the balconies, pergolas and verandahs. The Zipscreen blinds are usually transparent for the purpose of uninterrupted viewing and reflect a considerable amount of heat from the sun. 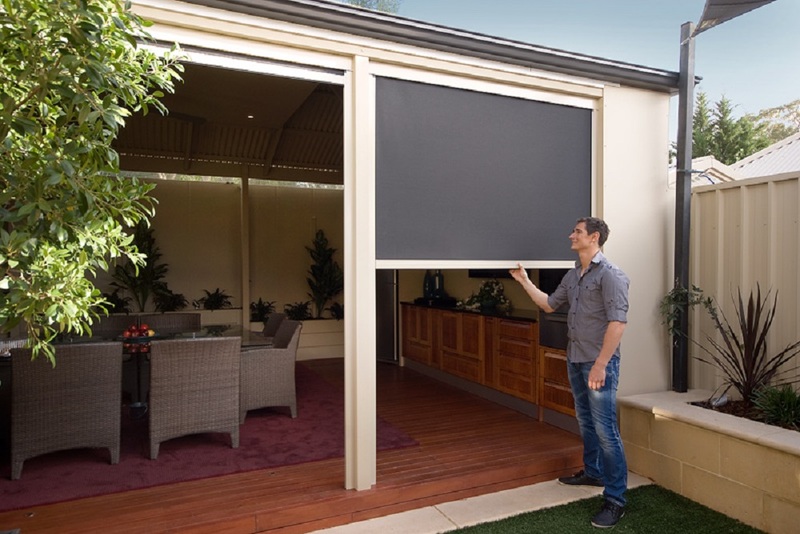 The Zipscreen blinds are also able to cut down the UV rays from entering inside and they can protect your household things from adverse sun’s heat. This also protects the furniture considerably and successfully forms a perfect outdoor oasis in escaping from the scorching summer. In order to maintain the Zipscreen blinds in the best working condition and continue to make them look great, here are few of the major cleaning guides that you should necessarily follow. You should regularly dust the Zipscreen blind fabrics with the help of a soft brush or vacuum cleaner. This would help in maintaining the clear transparency of the Zipscreen blinds. The Zipscreen blinds should be cleaned with the lukewarm water and soap, and then those should be rinsed off immediately applying clean water. This should be done at least once in a month for maintaining the blinds in a perfect condition for a long-term. After a wet cleaning of the Zipscreen blinds, you should dry them with the help of a sponge or a soft cotton cloth. You should avoid rubbing them harshly as this may lead to scratches on the fabrics of the Zipscreen blinds. You should not use any abrasives or any kind of solvents to clean the Zipscreen blinds under any circumstances. By doing so, you may end up damaging the fabric of the Zipscreen blinds. In this case, you can apply some soft detergent or organic solutions to clean your Zipscreen blinds. The zips in the Zipscreen blinds should be regularly washed with a silicon spray in order to facilitate easy and smooth operation always. You should keep this in mind that you should never uses WD40, CRC or some other lubricant containing oil. This is to be understood that the frequency of cleaning depends on the environment where you are using the Zipscreen blinds. In case your property is located within 5 kilometers from the coast, then you ought to wet clean the Zipscreen blinds once in every month. In case your property is located more than 5 kilometers from the coast, then you can opt to wet clean the Zipscreen blinds once every three months. The Zipscreen blinds which are made out of PVC are quite susceptible to several environmental factors. PVC is susceptible to 5% contraction or expansion even under normal atmospheric temperature. So, this should be kept in mind while cleaning the PVC Zipscreen blinds. In order to protect the PVC Zipscreen blinds from discoloration, distorting or rippling, you should ideally avoid leaving these PVC blinds in a rolled-up state for longer periods of time especially during the hot summers or when the blinds are in wet condition. The experts always recommend the regular usage of the specialized PVC cleaning agents in order to protect them and to minimize scratches on them. It is suggested to hire an expert to clean your blinds perfectly because they have some advanced tools which will remove all dust particles from your blinds. With the proper care and the right maintenance techniques, you would be able to properly retain the aesthetics of your Zipscreen blinds in the perfect manner, and this would also contribute in enhancing the life of the Zipscreen blinds.